With users being three times more likely to click on a suspicious link on their mobile device, along with over half of mobile users tapping on a phishing URL, mobile phishing is a bigger problem than you think. 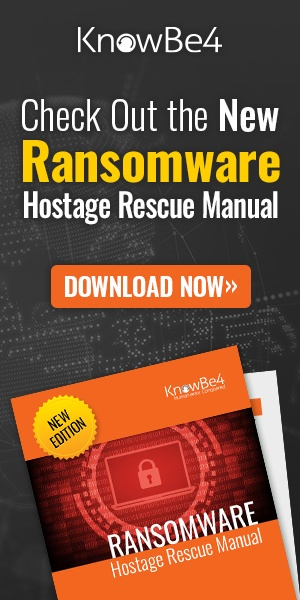 Cybercriminals are always looking for every possible way to make money off of a compromised device. While, the attack on mobile devices is nothing new, it’s gaining momentum as a corporate attack vector. With mobile operating systems less sophisticated to detect malicious links, and with users more trusting of the device and their interactions on it, mobile phishing is alive and well. The goals of mobile phishing are to either trick the victim into providing credentials to a corporate application, or to install surveillance software in stealth to harvest data and activity details from the device. 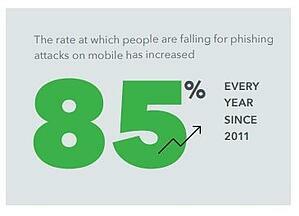 The rate at which users are falling victim to mobile phishing attacks has increased 85% every year since 2011. Phishing doesn’t only happen in email. 25% of employees click on links found in text messages. Facebook messenger is another medium used. It’s difficult to manually validate links – on a desktop, users can be trained to hover over a link and see the target URL. This isn’t easy to accomplish on a mobile device. URLs displayed in a mobile browser are often truncated to only show either the domain name or the name on the SSL certificate – in either case, the user isn’t able to easily verify the actual URL they’re visiting. Mobile devices exist outside the perimeter – any kind of web scanning technology used internally won’t apply when user’s roam outside the corporate wall. As part of your Security Awareness Training, it’s imperative that you educate users on how they should approach web use when on their mobile device. By training them on phishing and scam methods, as well as how to validate where they are browsing on the web, you will increase your corporate security stance, and reduce the risk of compromise. Cyber-attacks are rapidly getting more sophisticated. We help you train your employees to better manage the urgent IT security problems of social engineering, spear-phishing and ransomware attacks. Take the first step now. Find out what percentage of your employees are Phish-prone™ with our new, improved free test.